Isle of Wight School Day Trip | Geography Galore! "Struggling for Human & Physical Geography teaching ideas for younger students? Southampton Water and Southampton Docks have the answer!" We're regularly approached by teachers who are looking for inspired ways to teach human and physical geography. Our partners Red Funnel Ferries have sponsored the production of a number of teaching resources which are ideal for solving this very problem! 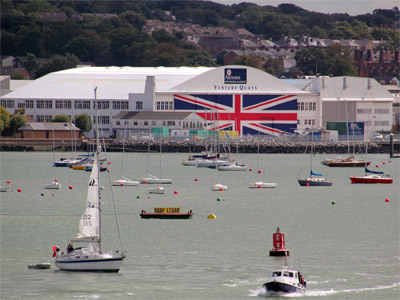 Take a cruise down Southampton Water and across The Solent on a Red Funnel ferry and observe all manner of natural and human-created features, from estuaries, sandbanks and spits through to docks, ports, refineries, power stations, bridges, marinas and shore-side buildings including Netley Abbey and Royal Victoria Country Park. Hop off at East Cowes and observe the workings of a harbour and marina, get up close with sea defences, groynes, rip-rap and breakwaters. 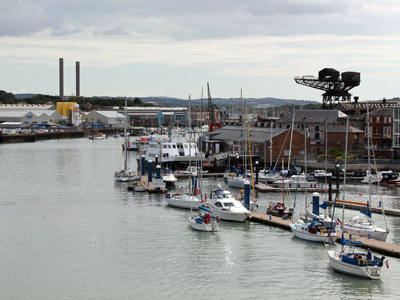 Or head back to Southampton and finish with a tour around Southampton Docks in your coach led by an experienced guide. Observe dozens of different types of vessels plying their trade, from cruise ships and car transporters at one end of the size scale, through to tugs and pleasure craft at the other ... and lots of examples in between. On a good day you'll see oil tankers, container ships, warships, dredgers, ferries, catamaran and many more examples on the water. 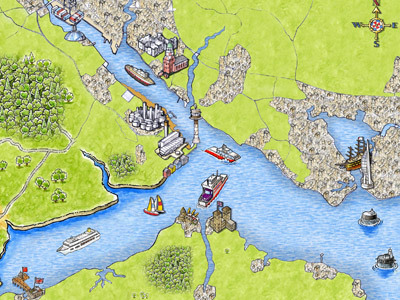 Students can practise their use of geographical vocabulary, and start to use maps - including a specially-commissioned illustrated map of the area designed to appeal to primary students. Identify features of the landscape, both natural and man-made. You could work with other teachers to use the trip as inspiration for English and Science tasks, too, and we have a number of activities to help you make the most of this. It's certainly an action-packed couple of hours aboard! Unless you're on a very tight schedule you could hop off the ferry for an hour ot two once you reach East Cowes and observe the workings of the harbour and marina from the Victorian esplanade, whilst studying the uses of groynes, rip-rap, breakwaters and artificial sandbanks. 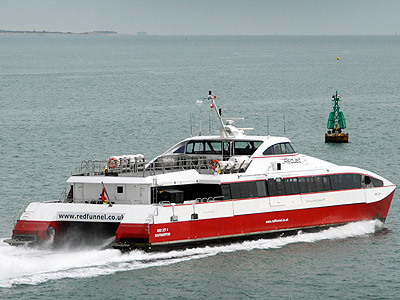 Alternatively we can arrange for your party to remain on board during turnaround which will give you 30 minutes to observe the River Medina, Cowes and East Cowes marinas in more detail. With sufficient notice we can also arrange tours of Southampton Docks either before or after your ferry crossing. This is led by an experienced guide who will board your coach and explain how the ports work from strategic viewpoints. 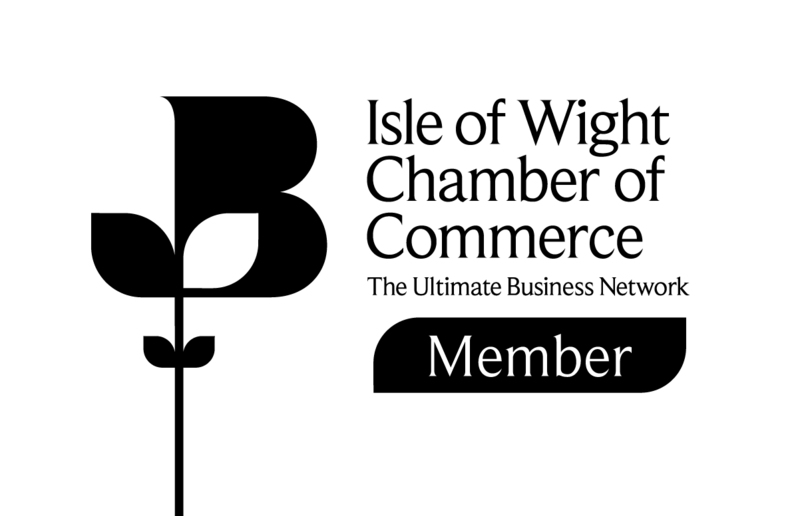 Why not make it a residential visit and take in more of the great activities on offer here on the Isle of Wight? We have lots of great value accommodation partners with facilities to suit even the youngest first-timers. Contact our friendly advisors for more information. Prices shown for off-peak travel, Tuesday - Thursday after 10am and before 4pm during termtime. 11:00 Arrive in East Cowes, Isle of Wight. Disembark ferry. 11:10 Arrive at East Cowes Esplanade. Activity Two. 12:00 Eat packed lunch followed by fun time on the adventure playpark. 13:00 Leave East Cowes. Activity Three. 13:40 Start to observe Southampton Docks as you cruise back into port. 14:00 Arrive in Southampton. Back on the coach and return to school.